February is the month of love, and with Valentine’s Day around the corner, the team at Idle Winds wanted to share some of their best tips for planning the perfect romantic date for your spouse or partner. 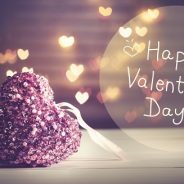 Know his/her interests: Valentine’s Day isn’t necessarily about red roses and chocolate – it’s about showing your loved one that you really care about them. So, if rock climbing or water-skiing is your date’s passion, then go with that. You can always pamper them with an overnight stay, a lovely couple’s massage or a candlelit dinner after! Location, location, location: Take the time to research your options, don’t just jump on the first package you see. This means planning your day well in advance because places fill up quickly! Look at the reviews of a restaurant or hotel, take a look at their photo galleries to see what it’s really like, and look into what the area offers. Build up to the big surprise: Having a wonderful Valentine’s Day is about more than a dinner or date, so try and make the whole day a treat for your loved one. Surprise them with flowers in the morning, then treat them to a message and packed lunch for work. Get a work colleague to help you arrange a half day at the office, then whisk your loved one off for an impromptu surprise getaway! Don’t be afraid to ask for help: The best function venues work with their clients when they want to plan something really special, and these teams are trained to deliver the exceptional! If you want a special table, a picnic option, or even assistance planning a proposal, their staff can help you pull it off seamlessly and in style. Let Idle Winds function venue near Johannesburg make your Valentine’s Day one to remember! If you are looking for the perfect venue for a sophisticated night out, our restaurant at Idle Winds offers everything you need – mouth-watering food, attentive service and a romantic country setting just 14kms from Fourways. Established in 1989, our restaurant has won many coveted awards and has an extensive wine cellar boasting a unique, high-quality collection of local and international choices. Our highly experienced chefs specialize in international flavours and trend, offering you seasonal produce cooked to perfection – the perfect way to celebrate Valentine’s Day with your special someone. For more information about our function venue and facilities, please contact us today.